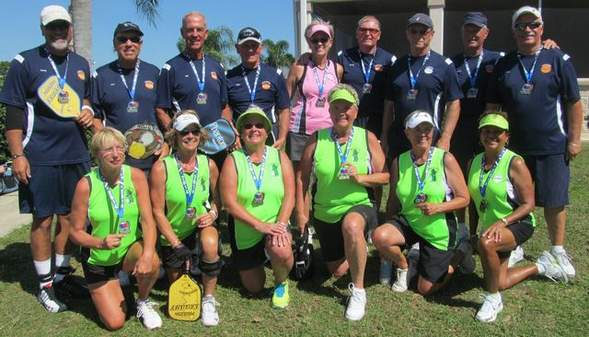 SEBRING - Monday's Pickleball "Shootout" brought the five teams of the South Central Florida Pickleball League together for a one-day final. League founder and commissioner, David Majick, of Highlands Ridge, addressed the teams prior to play and pointed out that the league is unique in that it doesn't discriminate on the basis of age, gender or playing ability. After four years of trying, Tanglewood has finally taken top honors in the league. Having won all of their matches during regular season play, Tanglewood came to the shootout hoping to escape the demons that have kept them from winning in previous years.